As part of a 282-hectare forestry station including both environmental education and conservation training centers, Parc Ivoloina is of a 4-hectare zoological park operated by Madagascar Fauna and Flora Group. Crowned lemur at Parc Zoologique Ivoloina. Photo courtesy of Madagascar Fauna and Flora Group. Along with free-ranging lemurs and birds, the Parc is home to twelve different species of lemurs including the critically endangered black and white ruffed lemurs (Varecia variegata), greater bamboo lemurs (Prolemur simus), blue-eyed black lemurs (Eulemur flavifrons), crowned lemurs (Eulemur coronatus), and aye-ayes (Daubentonia madagascariensis). You will also find tortoises, boas, tomato frogs, and panther chameleons. The Parc also assists in caring for confiscated wildlife. 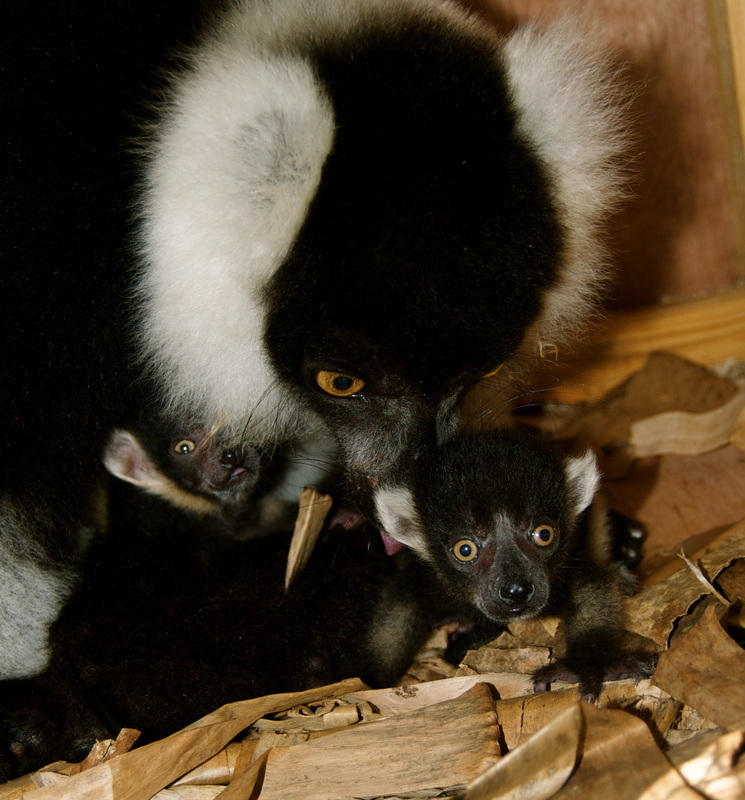 Black and white ruffed lemur with her babies at Parc Zoologique Ivoloina. Photo courtesy of Madagascar Fauna and Flora Group. 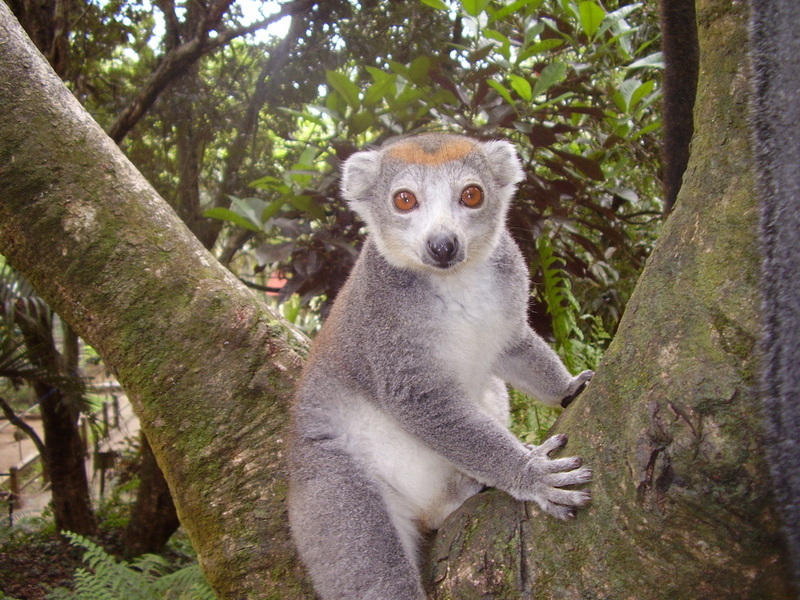 Parc Zoologique actively facilitates the success of captive breeding programs both in Madagascar and in partnership with programs in the United States. For example, the zoo has an established captive breeding program for the greater bamboo lemur. In addition, they have facilitated the first releases of captive-born black-and-white ruffed lemurs in the Betampona Nature Reserve, lemurs which had been raised by the Duke Lemur Center in the United States.